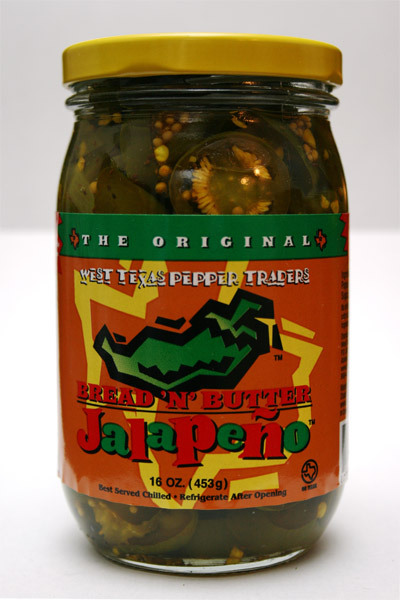 Cowboy Bill Martin's Ha Ha Jalapeno Relish  - $6.95 : PepperTraders.com, West Texas Pepper Traders, Inc.
‘Cowboy Bill Martin’s HA HA Jalapeno Relish’ TM is his secret blend of Texas jalapenos and spices with just the right amount of sugar. This one of kind condiment is good on everything from hot dogs to hamburgers to chips to straight of the jar! Try it with cream cheese or put it right on top of your cheesecake! Part of the proceeds of every jar sold goes to Cowboys Who Care Foundation, the non-profit 501C3 organization, which provides smiles, support and brand new cowboy hats to boys and girls who have cancer and other life-threatening illnesses. Cowboy Bill Martin is the founder and CEO of Cowboys Who Care and is also a comedian, actor and has been seen on CMT on his first one hour television special, LET THE LAUGHTER ROLL. He has toured with George Strait, Brad Paisley and all four of the Blue Collar Comedy Tour, entertained our troops in the Middle East, and is one of the hottest tickets on land and sea.